In response to the crisis which exists for Haitian children with heart disease, in 2015 Gift of Life formed a partnership with St. Damien Hospital. The first-ever Haitian pediatric cardiologist is being trained in Martinique and will return to St. Damien Hospital upon completion of her training. The Gift of Life Inc., its consortium of like-minded partners, including the Ospedale Pediatrico Gaslini in Genoa, Italy will continue efforts to treat these children in need by coordinating multiple screening and surgical missions each year in collaboration with other organizations. 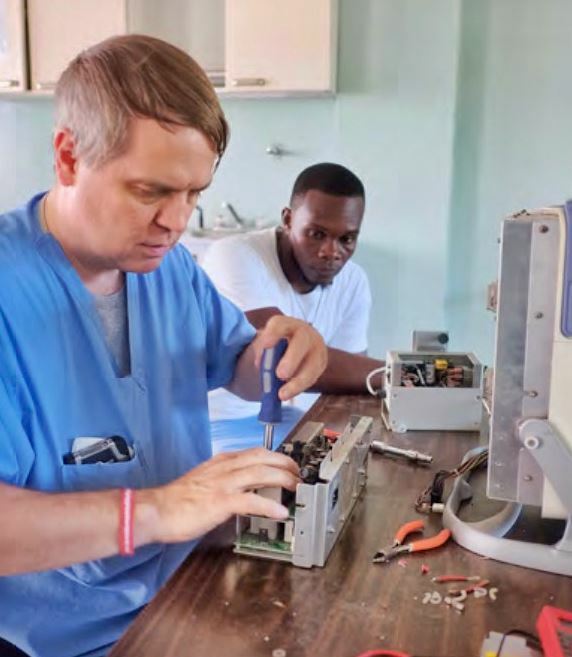 Preparations have been underway for another medical mission to bring cardiac care to children in Haiti. Currently, Gift of Life is the only NGO (Non-Governmental Organization) working in Haiti to develop a pediatric cardiac program. The medical personnel at St. Damien’s Hospital are hard at work preparing for the next scheduled visit of the international Gift of Life team. Several surgeries are planned for the next visit, which will take place April 6th through 14th. Families of children suffering from treatable heart defects are anxiously awaiting the international team’s arrival.